Monday morning we were off bright and early to catch the Victoria Clipper to Vancouver Island. The trip was a little foggy in spots, but otherwise pretty smooth and picturesque. The ferry terminal in Victoria is right next to a vibrant area of shopping and restaurants and parks. We spent a while getting a car to tool around the island in, then found a seafood restaurant recommended by the Budget Rent-a-car clerk. We had grilled salmon and clam chowder, then wandered around a bit to find ice cream, an ATM, and a drugstore to get a few necessities. 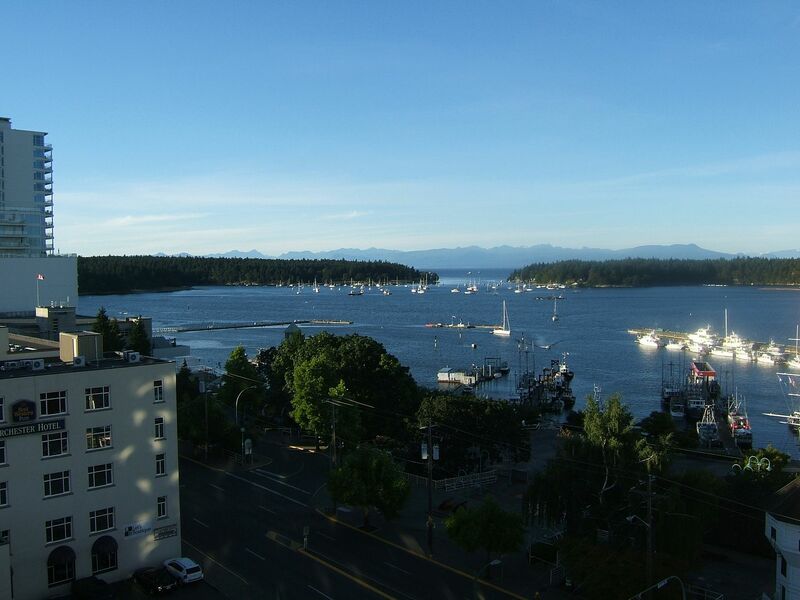 Our hotel is in Nanaimo, which is a drive along a curvy road with pine trees on both sides (and occasional glimpse through the trees at the Strait between the island and the mainland). We visited a few of the wineries on the way, although many were closed, since they are open only on weekends, or Weds-Sunday. We also stopped at a farmer's market to get nibbles for dinner. I emailed you my cell number. Is there a bathtub in the lobby? When we were in Nanaimo, there was, because of the bathtub races they have. Also, look for Nanaimo bars. There really ought to be some there, somewhere. Found the Nanaimo bars at the coffee place around the corner from the hotel. Had those for lunch dessert because breakfast was of course Tim Horton's!